TWO men have been fined after pleading guilty to poaching in Ryedale. Andrew Dowse, 53, and Steven Raymond Jones, 52, appeared at Scarborough Magistrates' Court where they admitted hunting a hare with a dog at Spaunton in Kirkbymoorside. North Yorkshire Police were alerted to suspected poaching activity in the area just after 1pm on March 11. Within an hour, a police community support officer from Ryedale Neighbourhood Policing Team had found a suspicious vehicle and a number of witnesses. 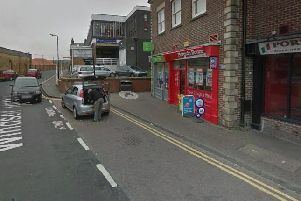 A short time later, Dowse, of of Carlin How, near Redcar and Jones, of Redcar, were seen returning to the vehicle with two dogs. They were stopped and spoken to by police and their vehicle, a blue Mitsubishi ASX, was seized. Both pleaded guilty when they appeared at Scarborough Magistrates Court. Dowse was fined £50 and ordered to pay costs of £310 and a victim surcharge of £30. Jones was fined £110 and ordered to pay costs of £310 and a victim surcharge of £30. Police Constable Mark Atkinson of North Yorkshire Police’s Rural Taskforce, said: “Dealing with poaching is one of the top priorities of the Rural Taskforce, and anyone participating in this illegal activity can expect to be dealt with by North Yorkshire Police robustly.